The meaning is clear. Do not be overly ambitious in your self-defense technique. Do not attempt more than you can reasonably pull off when you are fatigued, stressed, out-muscled and caught by surprise. Do not over-estimate your own ability in a real life situation. Be humble; if you try for too much you will end up with nothing, or in this case: hurt or dead. OK, we just knocked off nearly 100% of all martial arts. Yes, sad but true. ( I come from that background, see Moshe Katz story). Allison from the United States using simple gross motor moves vs. her "attacker" Alex from South Africa. In real life this is a very dangerous situation and not a time to be trying sport style jujitsu or UFC moves. The fact that some styles even make a passing reference to being a self-defense system, offends me. They are lying to the public, they are lying to you, perhaps they are lying to themselves. To be a decent self defense/survival system is not easy, not at all. 1. Check your ego at the door. Do not think so highly of yourself, do you think that because you have a belt of some color that you are immune from the street thugs and terrorists? You are not! These guys are not your friends from the dojang, dojo or kwoon, they are worthless crap with nothing to lose. They have no respect for anyone. 2. What you knew yesterday is not relevant. You must keep your ears and eyes open and attuned to the public. I thought I knew it all, but then I was asked by Tibor Sklut from Slovakia about the "Gypsy Attack" (never heard of it), by the guys in Joburg about "Stitching" (had no clue), by the guys from Brazil about a machete attack, (never thought of it), by Jacques in Capetown about someone sitting on you and doing this or that…. I have even been asked how to defend myself while wearing 4.5 inch heels, (honestly never tried that, or even thought about it). Every week I learn about some new situation, and no, the answer is not in your Karate Kata, so sorry. (and yes, I too did kata's for years, and loved them). 3. Keep everything simple, it is your only chance of survival. Forget everything you ever so in a movie. The only thing you can learn from movies is "Situations", i.e. you can see a situation, and say,…Hmm, I never thought about that, what would I do? And then please do not try doing whatever it is that Chuck Norris or Bruce Willis are doing. 4. Test everything against many people. Test everything by using defenders of different sizes and gender. I do not care if it works for you when you stand 6 foot four and full of muscle. I do not care if it works for an IDF soldier. I want to see if it works for my 5 foot one female friend with two weeks training under her belt. Got it? And if it works for her it will also work for you. One technique for all! (Equally, Liberty, Fraternity). 5. Try your best to be surprised, Mess with your mind. If you train only when you are anticipating a technique - you are not training for the streets, you are only training for a sports tournament. Back to the Talmud; If you grab a lot…you have grabbed nothing. A guy has a knife to your throat, if you can get out of this, if you can get home alive – Consider yourself the luckiest man alive today! No!? You want to also strike him in the vitals and punish him and then do the Zohan on him and tie him up like a pretzel? Then please, live in the movies. (you are doing it anyway). But if you have grabbed a little, small basic gross motor moves, if you have grabbed a little, modest goals – Survival – then my friend you have grabbed a lot. You have grabbed your future, your ticket for tomorrow. Now read this again and live by these words. This is your mental training for today. You can do your 3,000 finger pushups later, now think! The Tour and Train Israel Experience. The fastest way to improve your skills, to train your mind and body, is to come to Israel and immerse yourself in Krav Maga training for 10 -12 days. It will change everything. Levels: Suitable for beginners and Advanced, Students and Instructors. We go step by step and everyone learns! 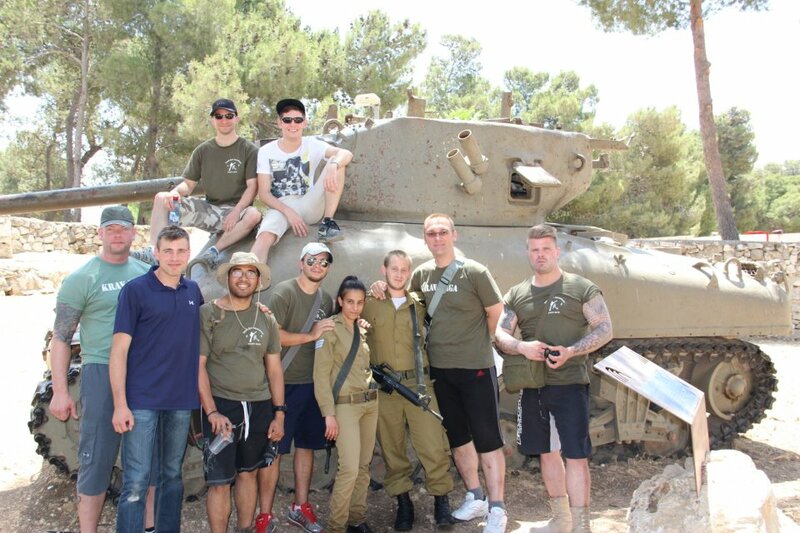 Tour and Train June 2012 at Ammunition Hill, site of key battle during the 1967 Six Day War. The students learn the history of the war and pay tribute to those who fought. Join IKI On Line and be up to date with your Krav! Have all your Krav Maga questions answered. Not an "Automated" system; real people, real personal, real Krav! Receive hundreds of original Krav Maga Training clips per year, directly to your computer. Be eligible for rank testing and certification. 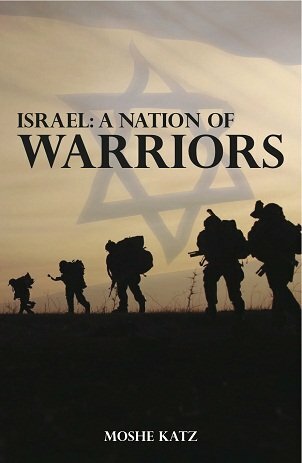 Understand the true roots of Krav Maga as it developed in Israel; the attitude, the way of thinking. Tracing the development of Krav Maga from its Biblical roots until the IDF of today.